How effective is your accounting system for Management Information reporting? 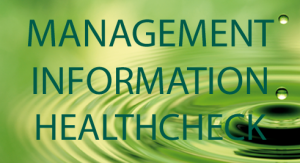 We have launched our FREE “Management Information Health Check” as part of our innovative research project designed to support local businesses. Click here to find out more about our Free MI healthcheck or to arrange your free review, please contact us on enquiry@mintconsult.com or call 0845 805 7390. We are happy to sign a non-disclosure agreement and work with you to see if we can help.